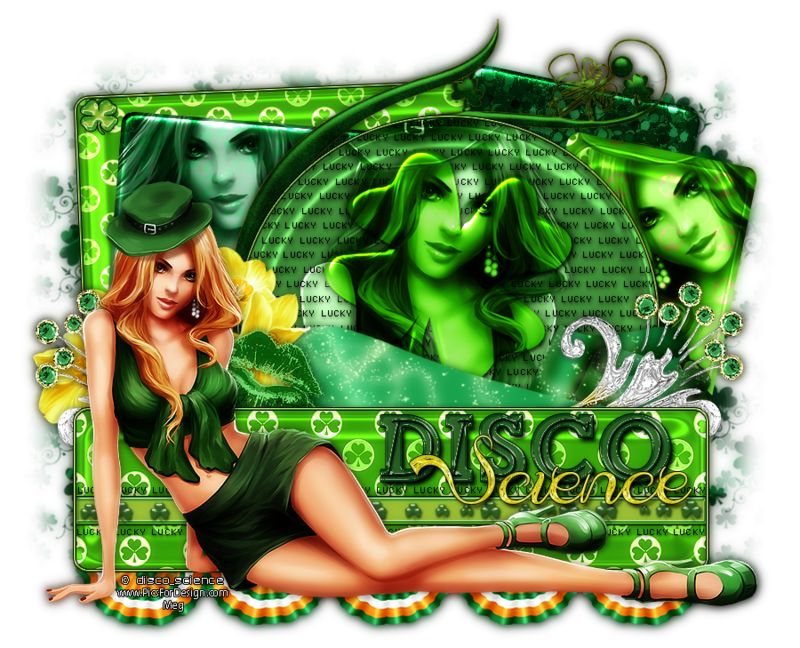 Drama Bomb Designs: CT Tag showoff for Disco Science and Template 76! CT Tag showoff for Disco Science and Template 76! Check out this brand new beauty "Brooke" from Disco Science! She has a bunch of layer options for all of your tagging needs. 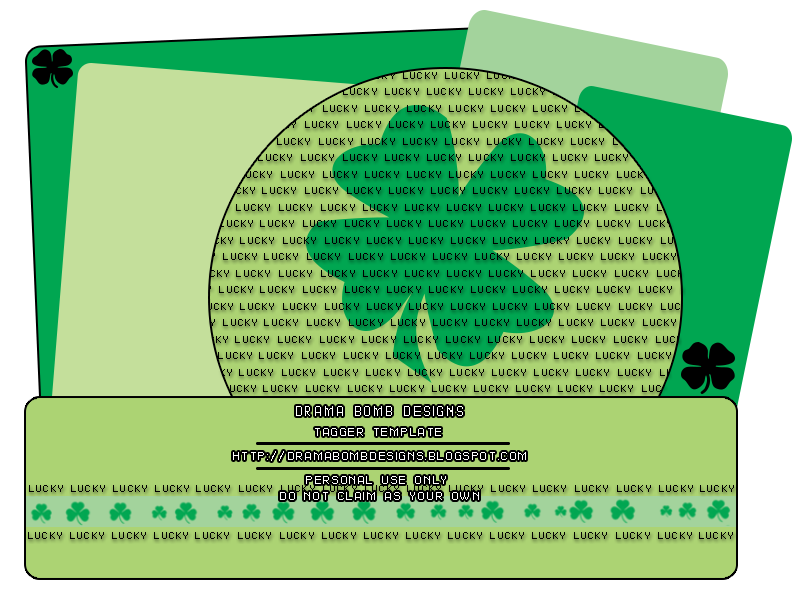 Below is a tag I made featuring her St. Patrick's day Layers. You can pick her up at PFD. I used the kit "Charmed" from Kizzed by Kelz available HERE.